Joins are basic functions of databases that enable you to merge the contents of two different tables and/or databases into a single view based on a common field or fields between them (that is, the join condition). There are four join types available in BarTender: Inner, Left Outer, Right Outer, Full Outer. In BarTender, an inner join is the only join type supported when you are using data from multiple databases. In addition, full outer joins are not supported for Excel, Access, and MySQL databases. 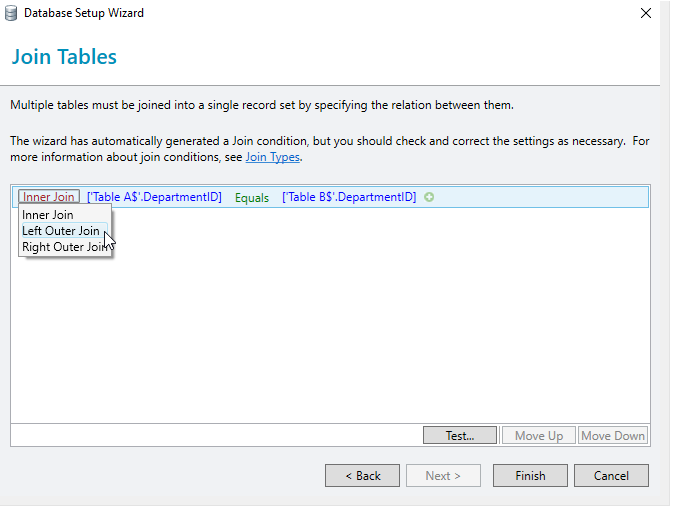 Creating a database join in BarTender differs depending on whether the tables are from one database, or if the tables come from separate databases. The examples below include sample database files to download and use while working through the exercise. 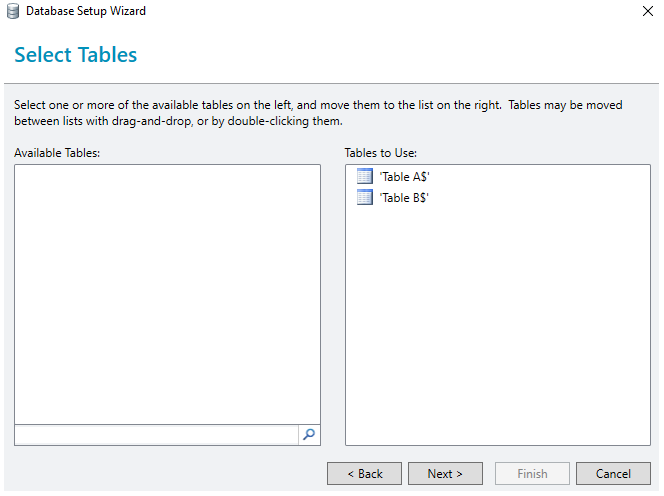 Note: If you are using tables from different databases, then the steps are slightly different. 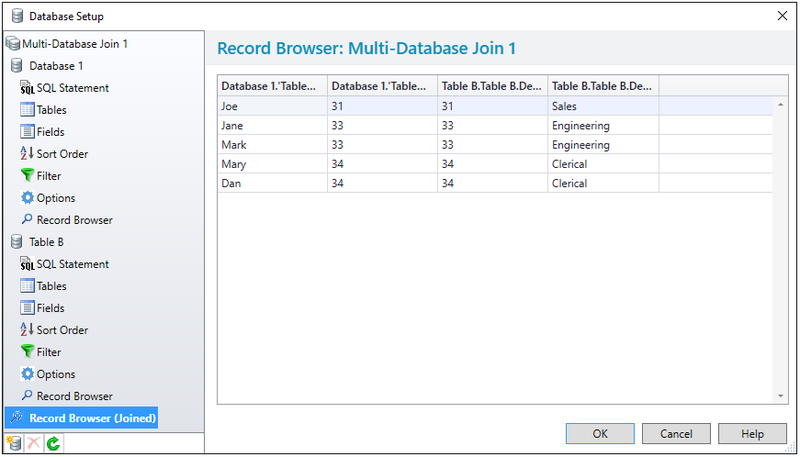 Please proceed to the example below Joining tables from separate databases. This example will set up a join using two tables from the same Excel file. Since they are tables from the same Excel file we can perform Inner, Left Outer, Right Outer joins, but not a Full Outer join. Click File > Database Connection Setup .. This example will set up a join using one table from an Excel file, and one from a CSV text file. Since they are not tables from the same database, we can only set up an Inner join.